Proper wheel alignment play a crucial role in your vehicle’s safety, performance, and tire life. Wheel alignment is so exact that it doesn’t take much to knock your wheels out of alignment. In fact, anything from potholes to driving down a dirt road can do it. Regardless of what caused the issues, the important thing is that you get it fixed. 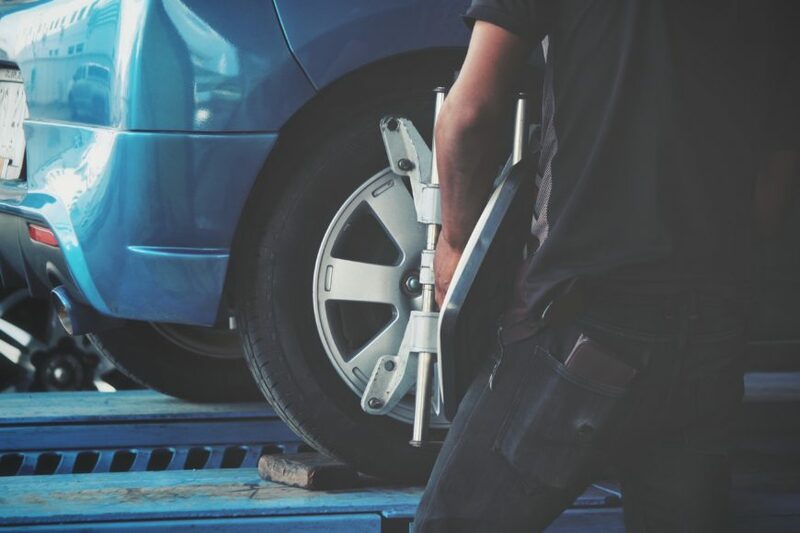 Driving with your wheels out of alignment can reduce overall control and handling, as well as cause serious damage to your vehicle if it’s not corrected. There are a few quick tests you can do to check if your wheels are out of alignment. The simplest way is to take your hands off the steering wheel while driving down a flat, smooth, straight road. Does your vehicle pull left or right? Perhaps it started to shake back and forth rather than continuing to drive straight and smoothly. These are both indications that you may need a wheel alignment. Another way to check alignment is to examine your tire wear. If all of your tires are fully inflated, they should wear down relatively consistently. If you notice uneven or inconsistent tread wear, there’s a good change that you need a wheel alignment. Proper wheel alignment ensures that you have optimal control over your vehicle. It also improves the lifespan of your tires, saving you money in the long run. The wheels are an important part of a vehicle’s steering system. It’s crucial that you get your wheel alignment adjusted on a regular basis; we recommend at least once a year. Is it time for your annual wheel alignment? Give us a call or stop by our service centre today!